At every advance step in Christian experience our repentance will deepen. It is to those whom the Lord has forgiven, to those whom He acknowledges as His people, that He says, “Then shall ye remember your own evil ways, and your doings that were not good, and shall loathe yourselves in your own sight.” Ezekiel 36:31. Again He says, “I will establish My covenant with thee, and thou shalt know that I am the Lord; that thou mayest remember, and be confounded, and never open thy mouth any more because of thy shame, when I am pacified toward thee for all that thou hast done, saith the Lord God.” Ezekiel 16:62, 63. Then our lips will not be opened in self-glorification. 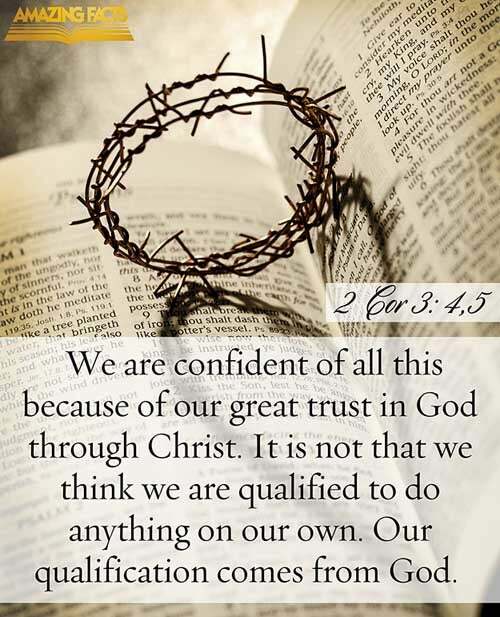 We shall know that our sufficiency is in Christ alone. We shall make the apostle's confession our own. “I know that in me (that is, in my flesh) dwelleth no good thing.” Romans 7:18. “God forbid that I should glory, save in the cross of our Lord Jesus Christ, by whom the world is crucified unto me, and I unto the world.” Galatians 6:14.